Students do not learn at the same rates. Some learn pretty quickly. Others learn more slowly. Generally speaking, however, most students should learn about one year’s worth of information and skills for every year they are in school. Unfortunately, this is not the case for all students. According to research, some students not only learn at a slower rate than their classmates, but by the time they reach seventh grade, they level off in all areas of learning, performing at about the fourth or fifth grade level. As these students grow older, the greater the gap becomes between what they have learned and what they should have learned. 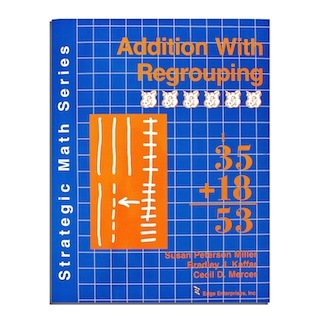 At the seventh grade level, the gap is about three grade levels; by twelfth grade, the gap is eight grade levels. This discrepancy between what they are expected to do in their classes and what they are able to do usually prevents them from responding in their high school classes. 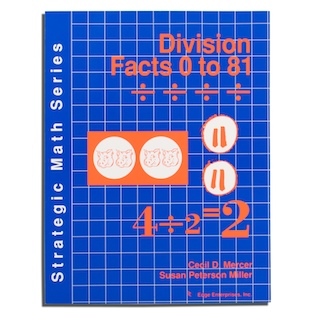 With intensive instruction in the Learning Strategies Curriculum, however, this gap can not only be reduced but closed. 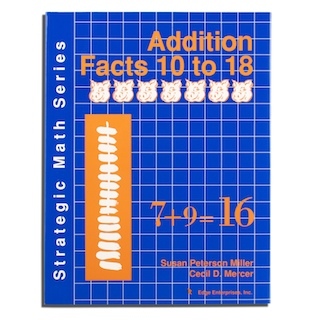 This curriculum was specifically developed to help students who have leveled off in their learning. 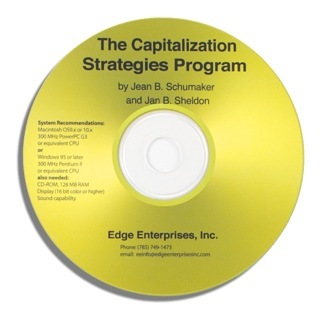 The instructional programs provide them with specific tools or “strategies” that can help them acquire information, store it, and express it. In essence, the curriculum provides them with specific ways to become better learners and succeed in school. 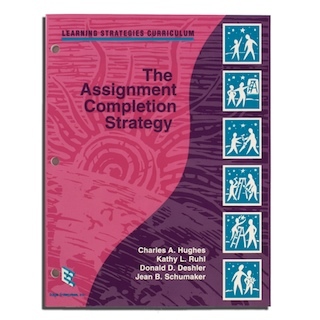 A learning strategy is a sequenced set of skills that students can use to complete a learning task. 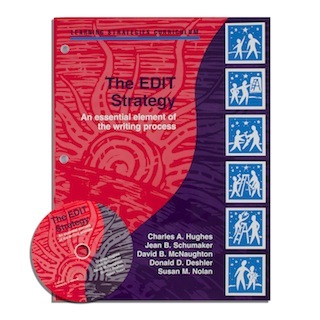 For example, one strategy is a set of skills students can use to decode a long word. Another strategy is a set of skills students can use to learn the meaning of new vocabulary words. 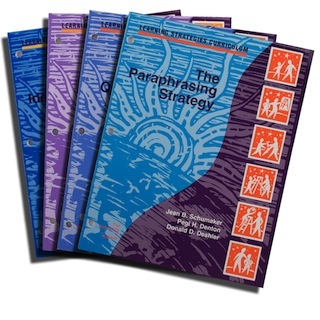 Instructional programs have been developed for three types of learning strategies: the acquisition, storage, and expression strategies. 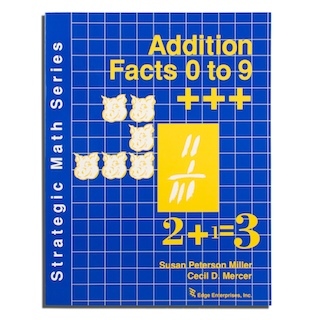 The primary purpose of the “acquisition” strategies is to help students extract important information from reading materials. They enable students, for example, to break apart and “decode” unknown words, motivate themselves to read by asking themselves questions and making predictions about a reading passage, and translate the most important information in a passage into their own words. 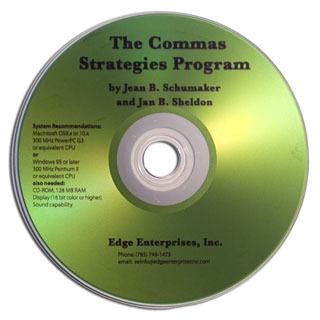 Specific instructional programs within the Acquisition Strand include programs for teaching the Word Identification Strategy, a strategy for decoding words; the Visual Imagery Strategy, a strategy for making a movie in one’s mind about what is being read; the Self-Questioning Strategy, a strategy for asking questions and making predictions about what is read; the Paraphrasing Strategy, a strategy for translating main ideas and details into one’s own words; and the Inference Strategy, a strategy for making inferences and answering inferential questions. 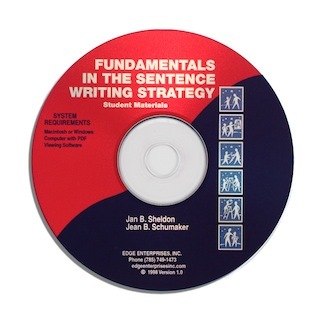 In addition, one program is designed for teaching students the Fundamentals of Paraphrasing and Summarizing, prerequisite skills for the Paraphrasing Strategy, including identifying main ideas and details. The second type of learning strategy is the “storage” strategy. Once students have acquired information, they need to have a way to “store” the information in their brains or on paper to help them remember it. Thus, the “storage” strategies are designed to help students select and remember the most important information they encounter. 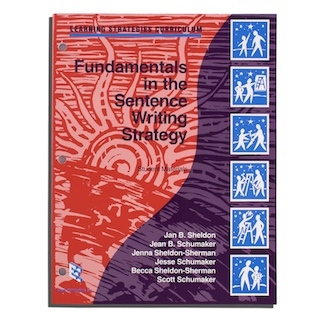 Specific strategies within this strand include the Vocabulary Strategy, a tool for learning and remembering new vocabulary words; the First-Letter Mnemonic Strategy, a method for learning lists of information like the causes of the Civil War; and the Paired Associates Strategy, a way to remember pairs of information (e.g., capitols and states, people and accomplishments, events and their significance). 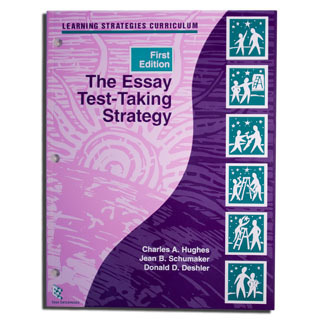 Additional practice activities for the Vocabulary Strategy are found in Lexicons, which contains 101 words commonly found on state assessments and college entrance exams. 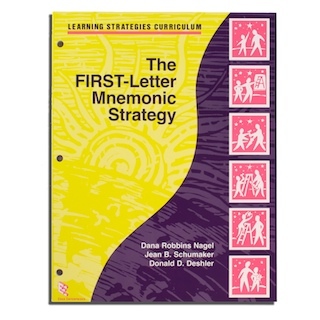 Further practice activities for the Vocabulary Strategy, First-Letter Mnemonic Strategy, and Pair Associates Strategy are found in the student workbook, Practicing the Storage Strategies. Finally, the “expression” strategies enable students to demonstrate or “express” their newly acquired knowledge. 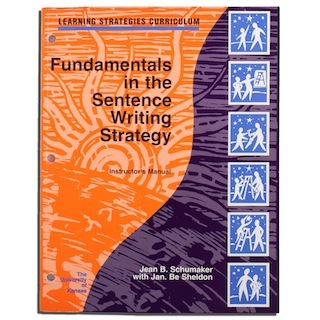 Instructional programs in this area help students become good writers (i.e., Fundamentals in the Sentence Writing Strategy, Proficiency in the Sentence Writing Strategy, the Paragraph Writing Strategy, the Theme Writing Strategy), to turn in quality work (i.e., the Error Monitoring Strategy, the InSPECT Strategy, and the Assignment Completion Strategy), and to perform well on tests (i.e., the Test-Taking Strategy and the Essay Test-Taking Strategy). 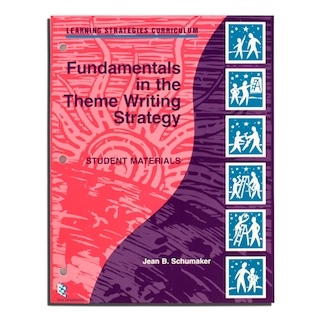 Student material volumes are available for many of the programs in this strand as well as a student planner (the Quality Quest Planner) in which students can record homework assignments. All of the products in this curriculum have been rigorously field tested in real classrooms and validated by teachers in schools. 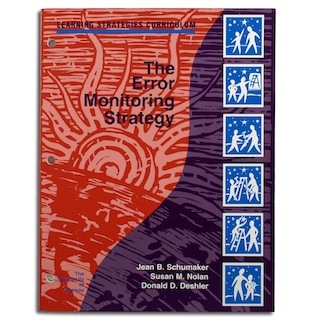 In addition, all contain step-by-step instructions, black line masters for use as overhead transparencies, and charts for tracking individual progress. As a whole, the curriculum is a true lifesaver for students who struggle in school but who want to complete required courses successfully and graduate from high school.